It is a full newsletter, so relax, have a coffee and enjoy!! Our Cross Country Team will begin practices on Monday September 11th after school. Permission forms are going home this week. This team is open to all students from grades 2 to 7. We had over 70 students join last year and we are looking to surpass that number this year. We are currently registered for one meet on Oct. 4th at Swangard Stadium. The volleyball season is quickly upon us. Practices will be starting soon. Please keep your eyes open for permission forms coming home soon. A big thank you to all the parents who came out for our work bee on September 2nd. There was a lot to do and the school was on excellent display for the opening of the new school year. It was a great community builder for everyone involved. Speaking of community builders, thank you to everyone for attending our Welcome Back Pancake Breakfast. It was our largest turnout yet as we served over 300 people! A special thank you to the Knights of Columbus for donating the food and their time in making this event a success! We are accepting good, clean used uniforms at the school. A bin is located across from the office. 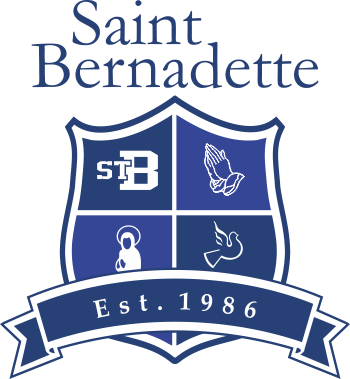 If you are in need of a uniform please email useduniform@stbernadette.ca to make your request. Please have all the sizing information listed in your email.